I remember when I was 18 and had just moved into my first apartment with my girl friends. We had no idea how to cook anything and often reheated our meals. Sitting around eating our baked frozen onion rings thinking they were the greatest snack in the world. Typically peeling the onions apart from the fried parts and tossing them to the side. These are not those onion rings. These fried onions are so crispy and spicy. I love them on top of a big juicy burger. 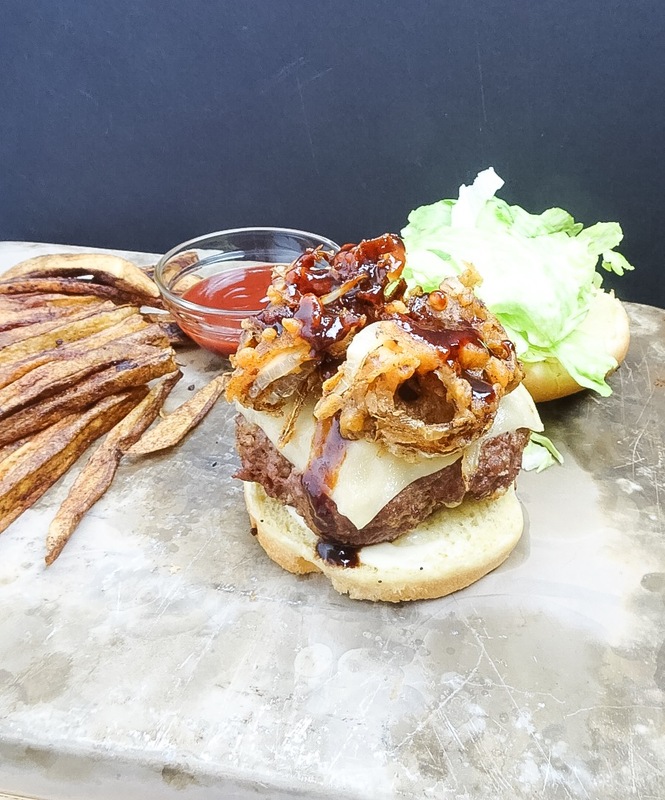 Born is my cheddar jalapeno stuffed burger topped with fried onions. 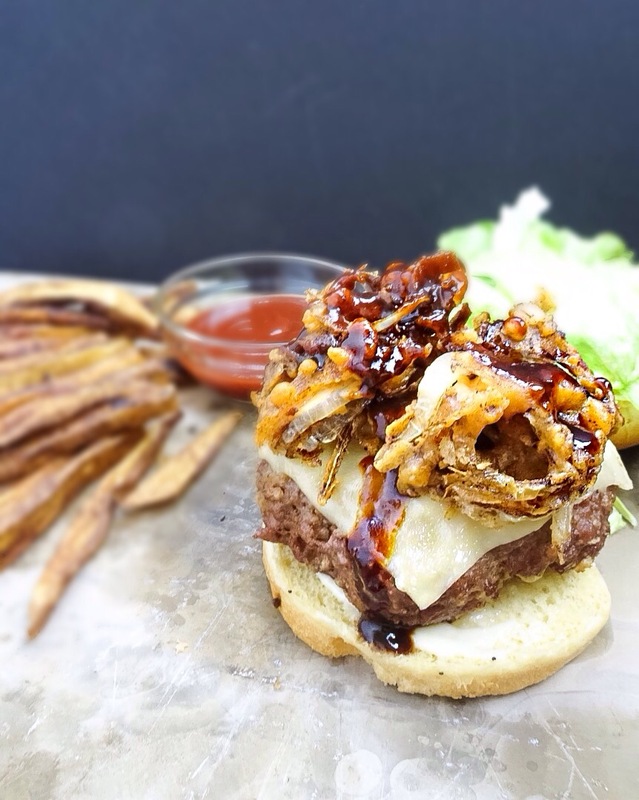 And these burgers… oh … my … gosh! 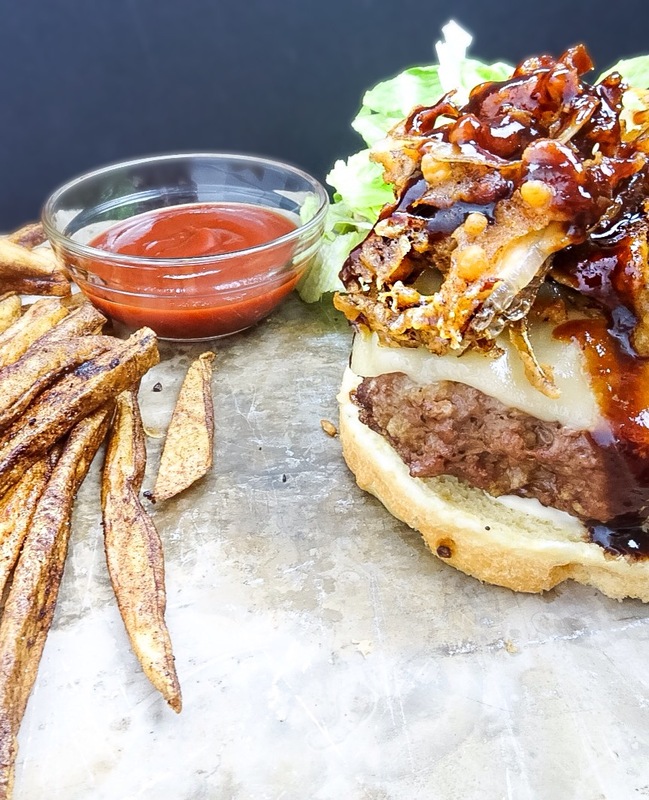 Stuffed with cheddar and jalapenos, topped with melt-y American cheese, fried onions, and a sweet bbq glaze, this is my ultimate cheese burger! The glaze is a mixture of sweet bbq sauce, brown sugar, soy sauce, hot sauce, and Worcestershire. I absolutely love the deep bold flavors. A little really goes a long way. 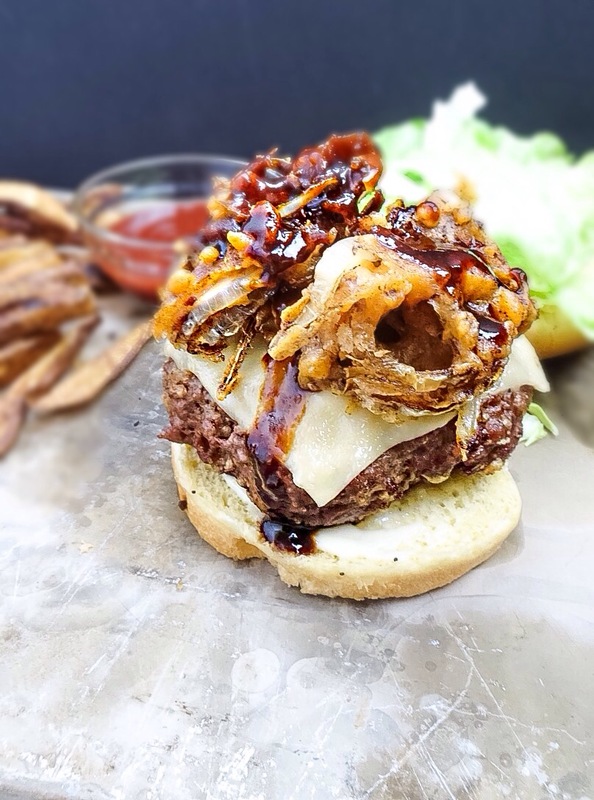 Cheddar jalapeno stuffed burgers topped with fried onions. Mix together the beef, panko, spices, and egg. Grill until medium rare or your preferred cook. Top with American cheese to melt. Heat the oil while burgers are cooking. Mix the flour, milk and spices. Slice the onions and dip into the batter. In a sauce pan add the BBQ, brown sugar, hot sauce, soy sauce, worcestershire, and spicy mustard. Toast the buns and swipe with a light amount of mayo. 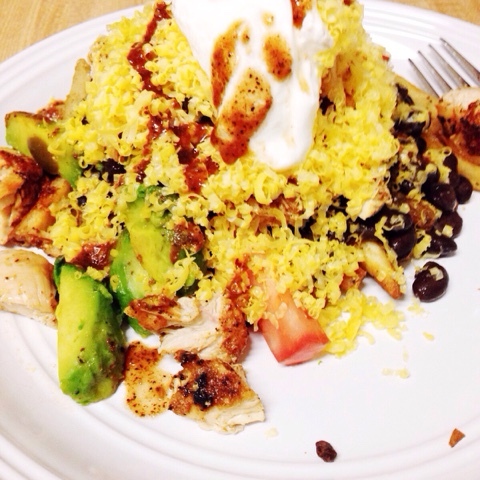 So in case you were wondering what you make for dinner tonight. It is these burgers. Dooooo it!